Internationally recognized for his work with the folk-rock band The Avett Brothers, Scott Avett’s painting and printmaking career has continued to evolve over the past 15 years. 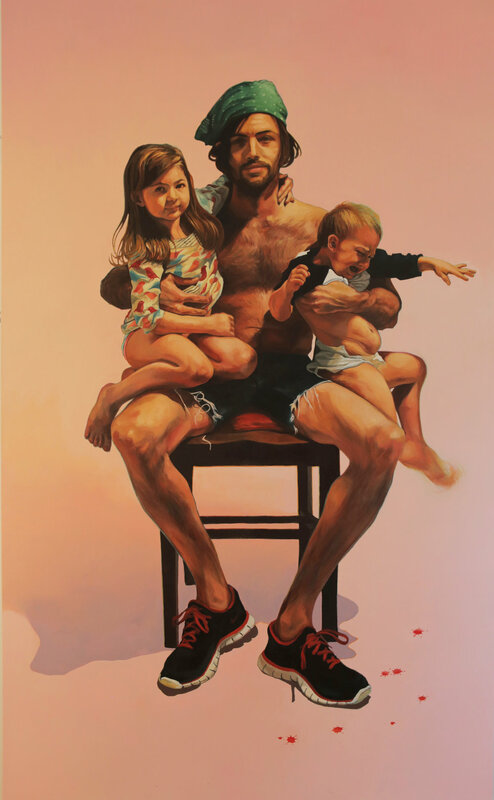 Avett’s large-scale canvases reveal an intimate look at growing up and now raising a family in the rural south. They are infused with the personal moments and inspiration Avett draws from family and his surrounding North Carolina farmland, yet nuanced with the cultural and artistic influences he has encountered through years of life on the road. For Avett, painting seems the solitary foil to the outward and collaborative musical endeavors of his Avett Brothers band. The common ground between these disciplines appears in the unvarnished content of Avett's lyrics and brush strokes, where the artist finds equal comfort forging an intimate perspective on contemporary American life. This Judd Apatow produced and directed documentary is a revealing look at creative collaboration, friendship, brotherhood and family. Featuring the Avett’s legendary music producer Rick Rubin and the rest of the Avett’s band, the film chronicles the recording of the band’s Grammy nominated album, True Sadness. The album went to number one on Billboard’s 2016 Top Rock Album chart, with the single Aint No Man spending 20 weeks on the charts and also topping at number one. Apatow’s film is a compelling portrait of a band breaking through creatively and commercially while still remaining true to the ideals that have kept them grounded and inspired throughout their lives.